01/31/2017 02/18/2017 LetsPlayNintendoITA7 Comments on Destination Springfield event is LIVE! 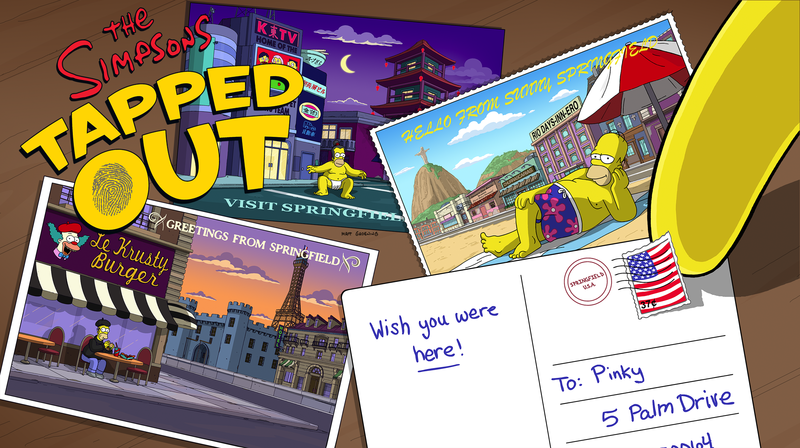 Destination Springfield event is LIVE! EA has just added the files on the server, and the event is coming, requiring a new store update! Get ready to visit new places as we go around the world and it’s coming up next! Join us later for all the details on the new event! Does anyone else have issues with editing and moving items near the edge? It took me a few minutes to try and place one item on the edge as the ‘locating’ feature will not centre and I gave up eventually. I would also like the feature where you are returned to the spot you find in the inventory- rather than have to scroll through every time. Editing should be getting easier not harder. Why EA, why? 3 strips of land and 1 x water is great. No Australia but at least the southern hemisphere is represented with Brazil. LetsPlayNintendoITA, are you going to update the TSTO Wiki page of the new event? Previous Lunar New Year 2017: Walkthrough Part 2 and Last 24 hours!